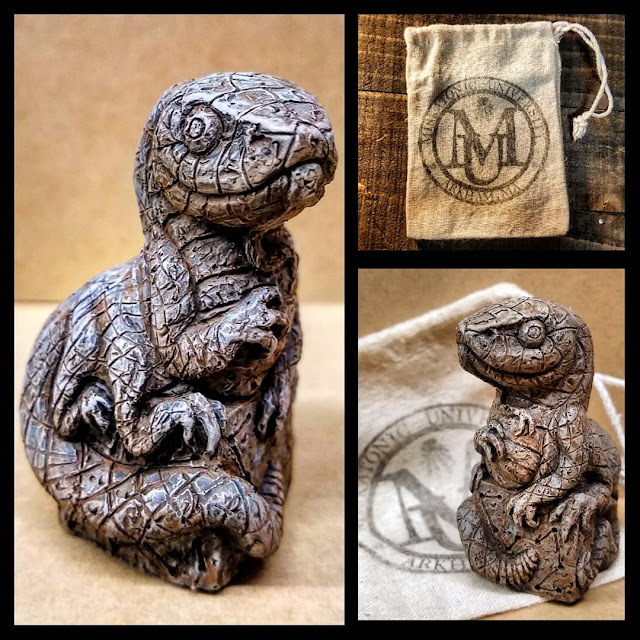 The gifted Jason McKittrick returns to our pages with this Idol of Yig from the Miskatonic University collection. This incredible orc shaman costume comes to us from German LARPer nebelmotte. 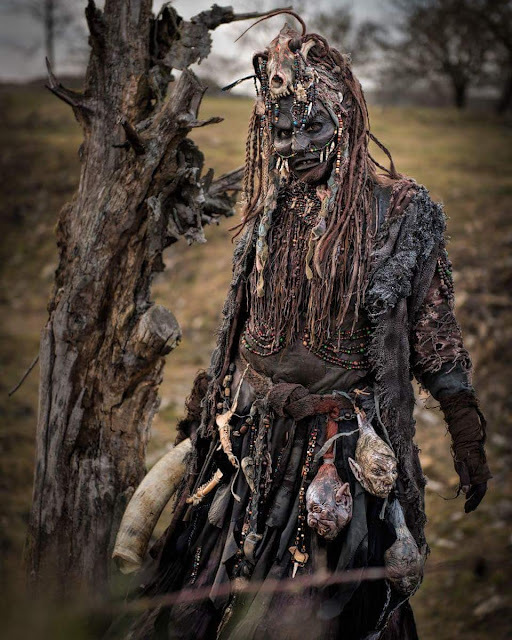 I can't even imagine the hours of work that went into the layers of costume elements and auxiliary props. 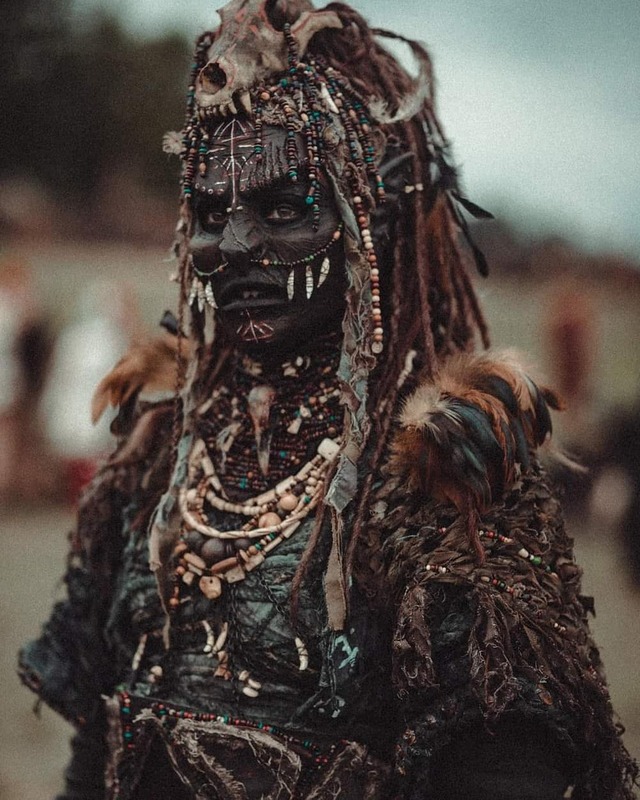 Thanks to Moritz Jendral for the photos. At this point it's safe to say that LARP weaponry is essentially indistinguishable from the real thing. 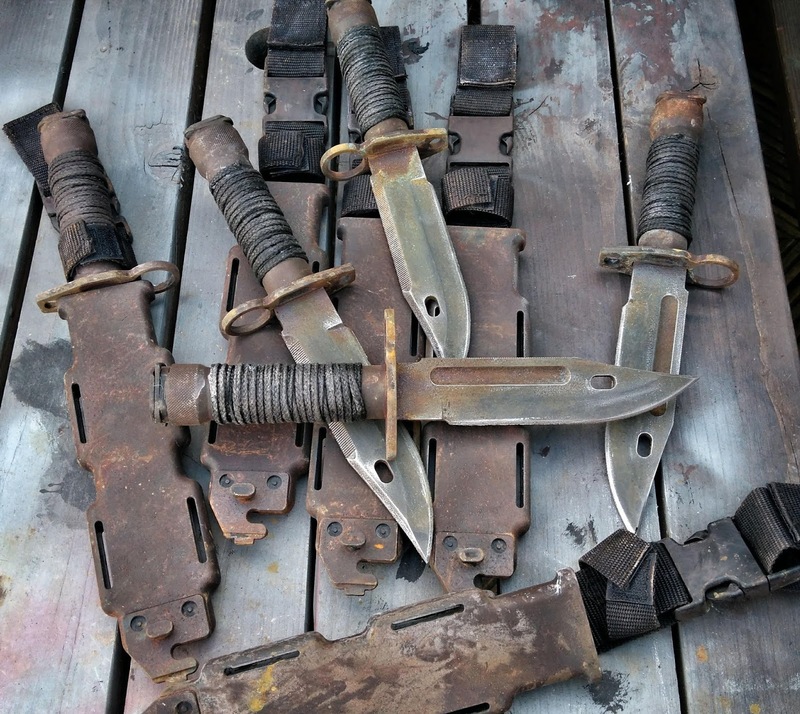 These amazingly realistic combat knives come to us from the extremely talented Steelgohst. The weathering is just fantastic. These nicely done copper Cthulhu pendants come to us from Curionomicon. 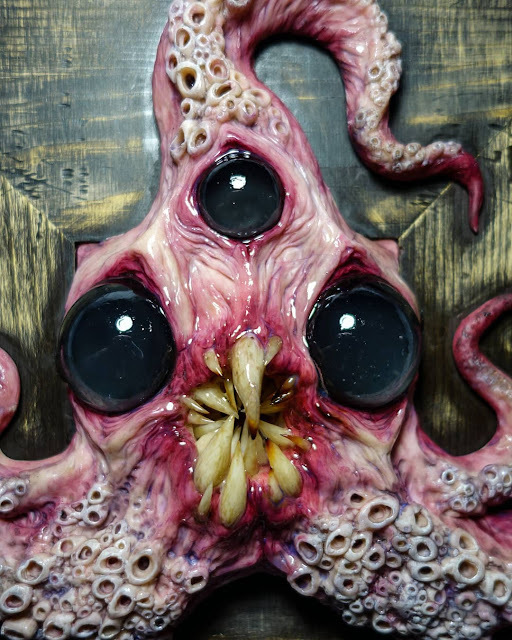 The gifted Karen Main returns to our pages with this horrid little creature. And by "horrid" I mean "awesome". 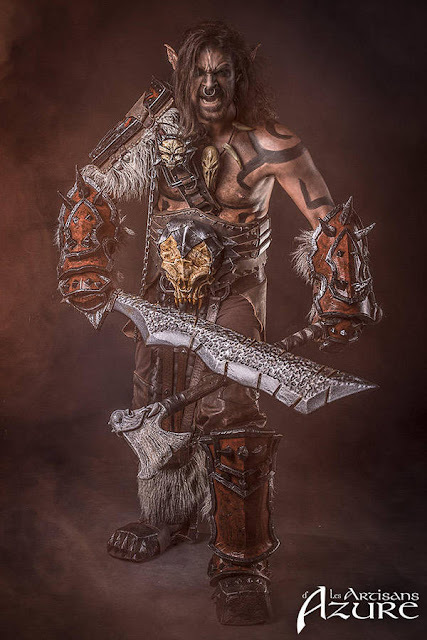 This beautiful orcish weapon and armor set was inspired by Grommash Hellscream from the World of Warcraft MMO. It's a collaborative effort between Artisans d'Azure (belt, harness, leatherwork, makeup) and Nemesis Workshop (latex and foam pieces). Photography by Karim Photography. The Vanquish fantasy font comes to us from Designer Jean-Pierre S. Sullivan. 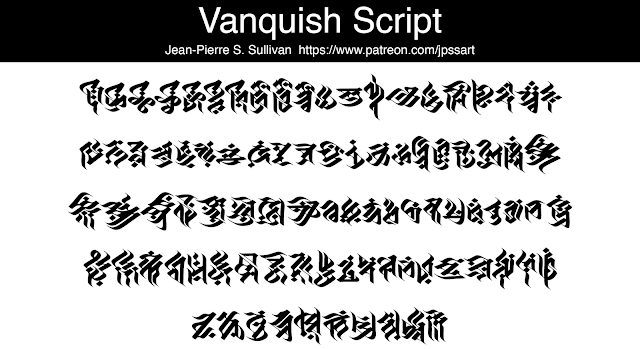 It features wonderfully flowing calligraphic glyphs and is available free for personal use under a Creative Commons license. Just follow the link and click on the "Download" button in the upper right hand corner to download the TTF file. 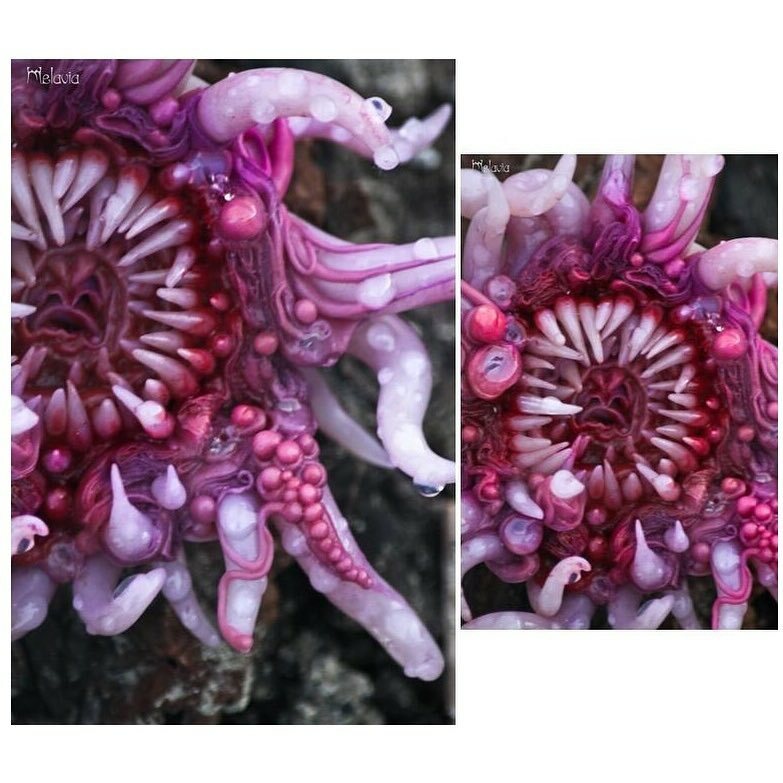 I wasn't surprised to learn there's a huge community of crafters that specialize in making polymer clay flowers. They're cute, but not really my thing. What did raise an eyebrow was the work of DarkWonderLand by Melavia, who specializes in "alternative floristics" like this creeptastic bloom. 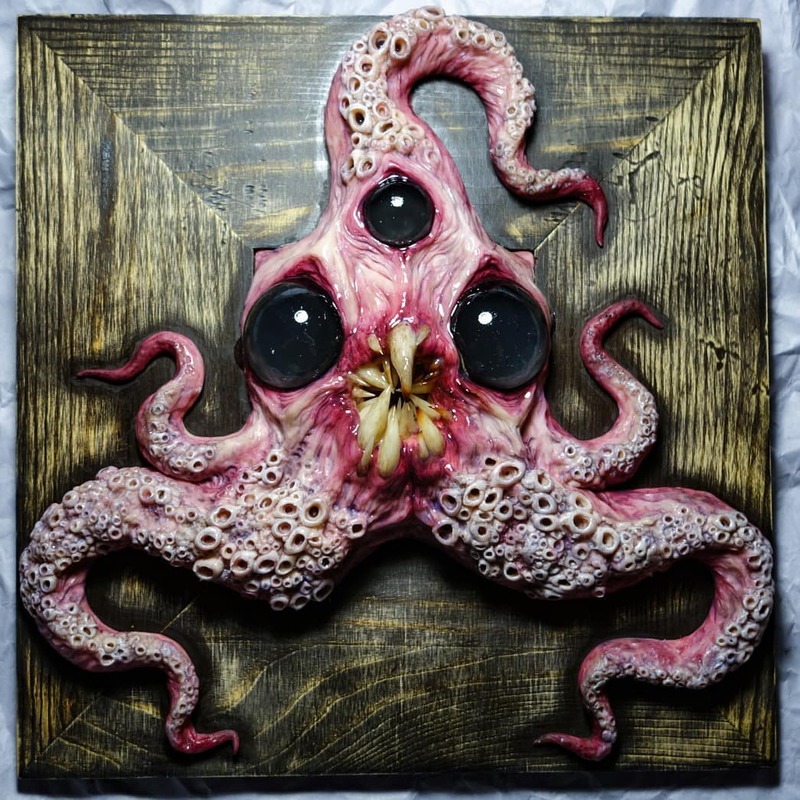 "In that secret cave in the bowels of Voormithadreth abides from eldermost eons the god Tsathoggua. You shall know Tsathoggua by his great girth and his batlike furriness and the look of a sleepy black toad which he has eternally. 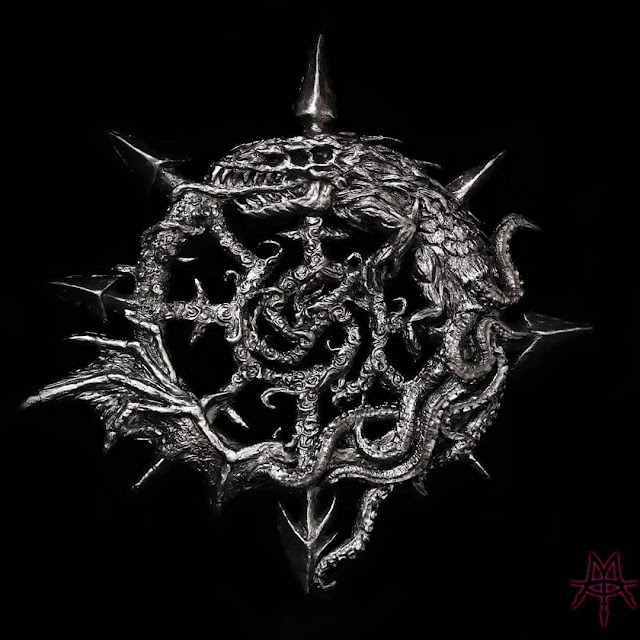 He will rise not from his place, even in the ravening of hunger, but will wait in divine slothfulness for the sacrifice." 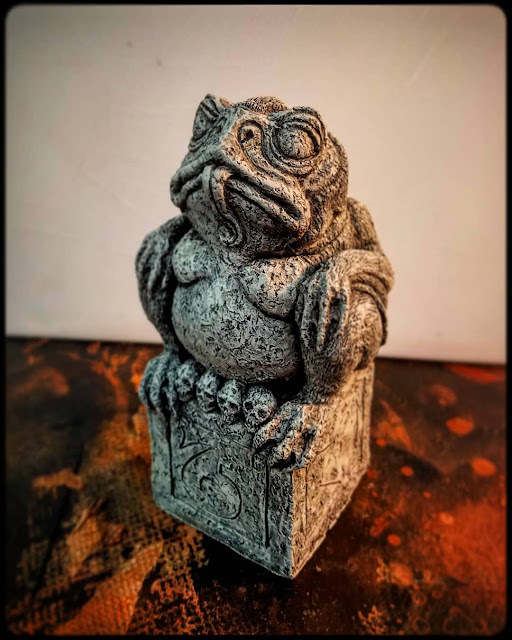 The talented Jason McKittrick returns to our pages with this well done idol of Clark Ashton Smith's Tsathoggua. 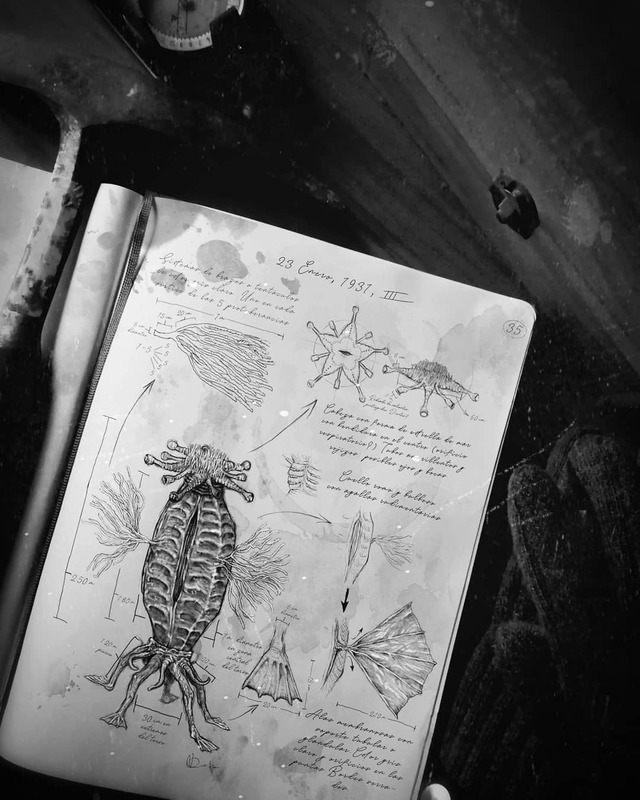 Ion Ander brings us this intriguing excerpt from the journal of Professor Lake, one of the leaders of the ill-fated Miskatonic University expedition to the antarctic. 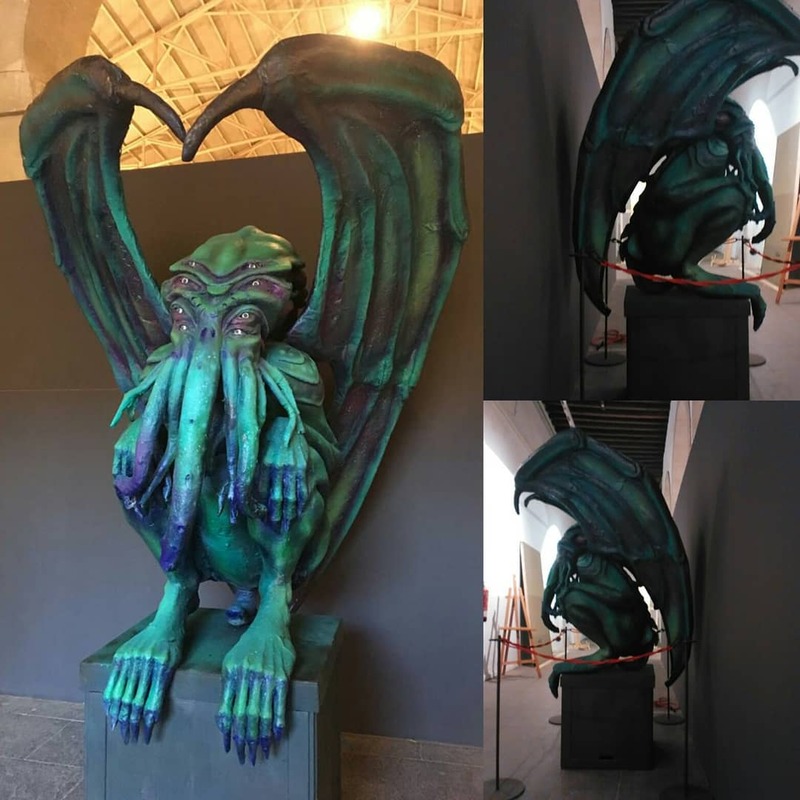 I think this is the largest Cthulhu idol we've ever featured here on Propnomicon. Choose Cthulhu brings us this gigantic sculpt, created as a promotional item for their Cthulhu game book. 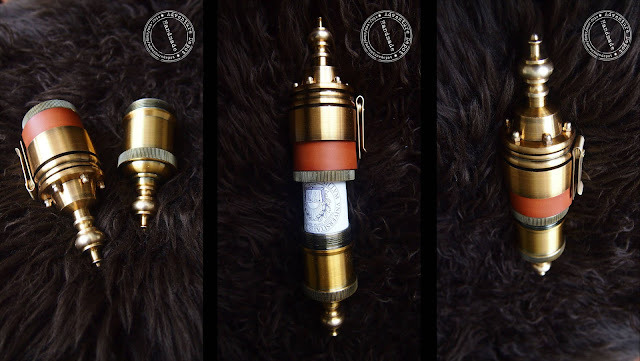 El Dodo Albino returns to our pages with a look at his aging process for an apothecary bottle. The only additional suggestion I would have is using colored powdered grout in place of talcum powder. It's available in dozens of different shades and adds a really dusty, grungy feel to props. 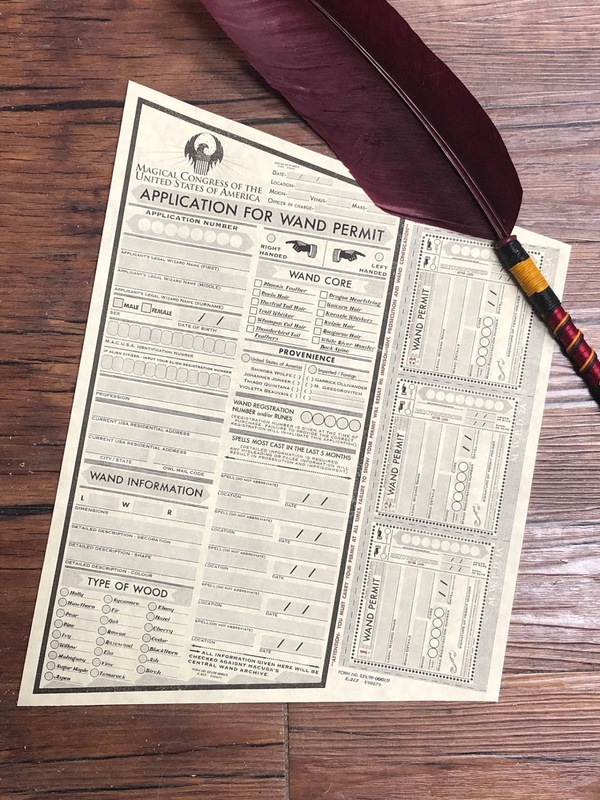 Michael R. Maranda created this outstanding wand permit application for a "Fantastic Beasts" LARP event. Artist Martin Quarz brings us this Warhammer-inspired chaos dragon banner sigil. 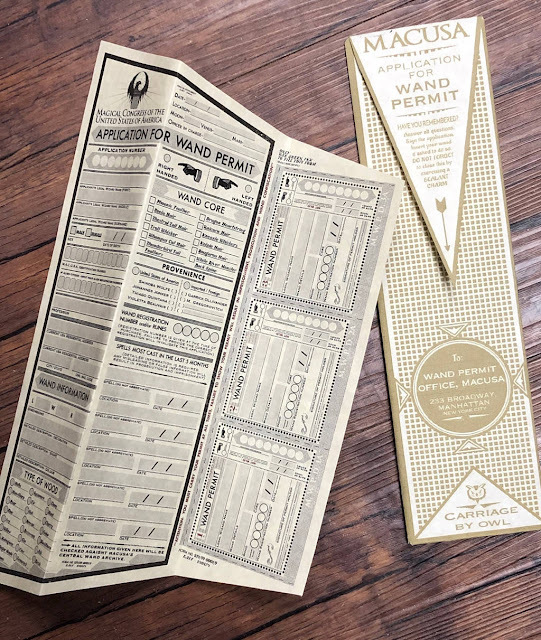 This beautiful leather pouch comes to us from Canadian artist Cheyenne Williams. 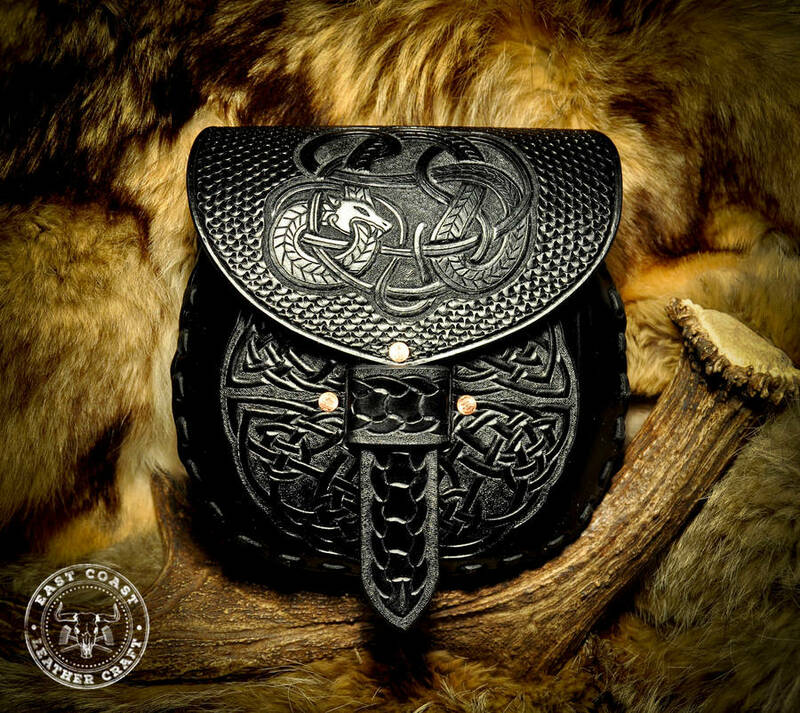 Featuring hand-tooled viking knotwork designs finished with buffed beeswax. 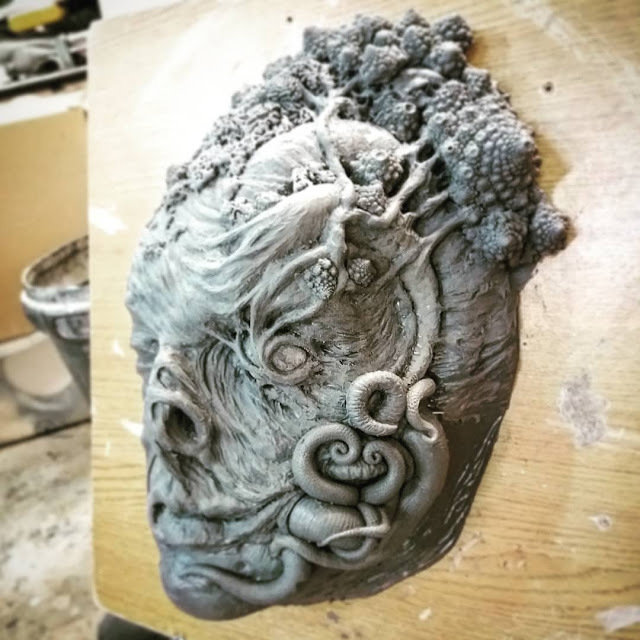 Professional makeup artist Javier Aliaga brings us his take on a fully mutated Innsmouth cultist. I can't wait to see the final appliance. 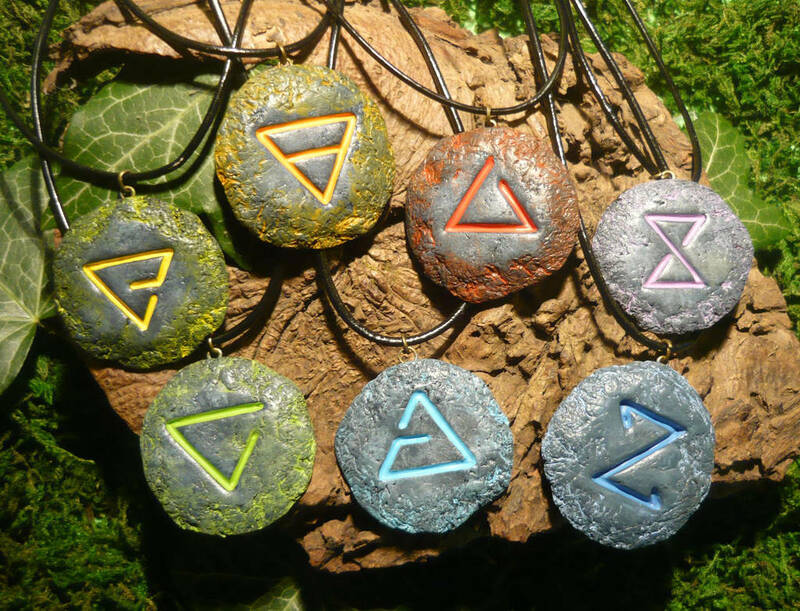 Marika Schirmacher returns to our pages with this collection of amulets bearing the magical sigils from the Witcher video game series. 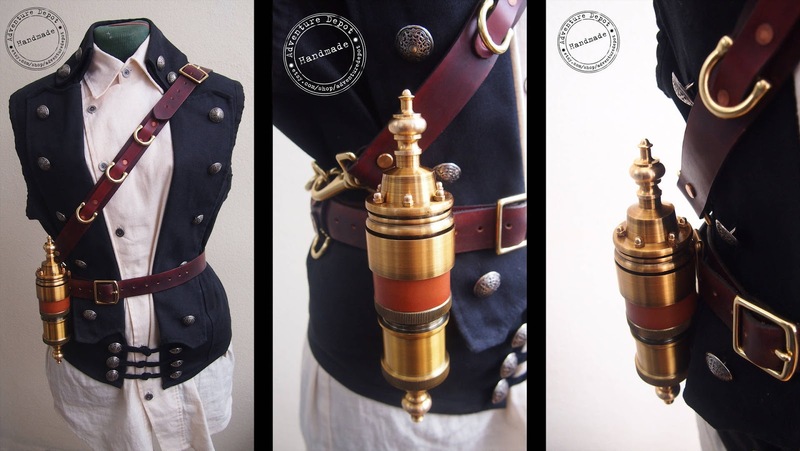 Anyone can have a pocket, but for the really important stuff you need a machined brass Personal Transport Canister. This wonderfully fiddly brass container comes to us from Adventure Depot. 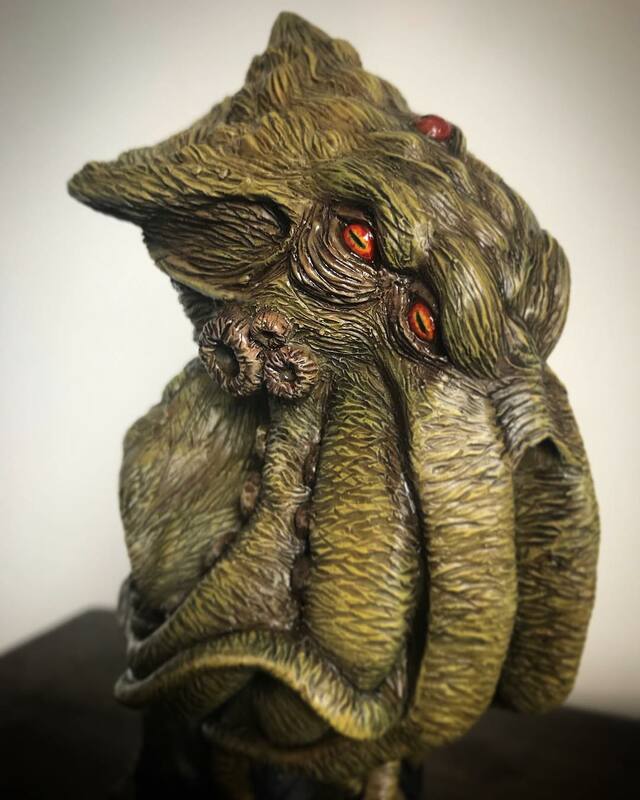 This fun little Cthulhu bust comes to us from sculptor Willie Cowper. 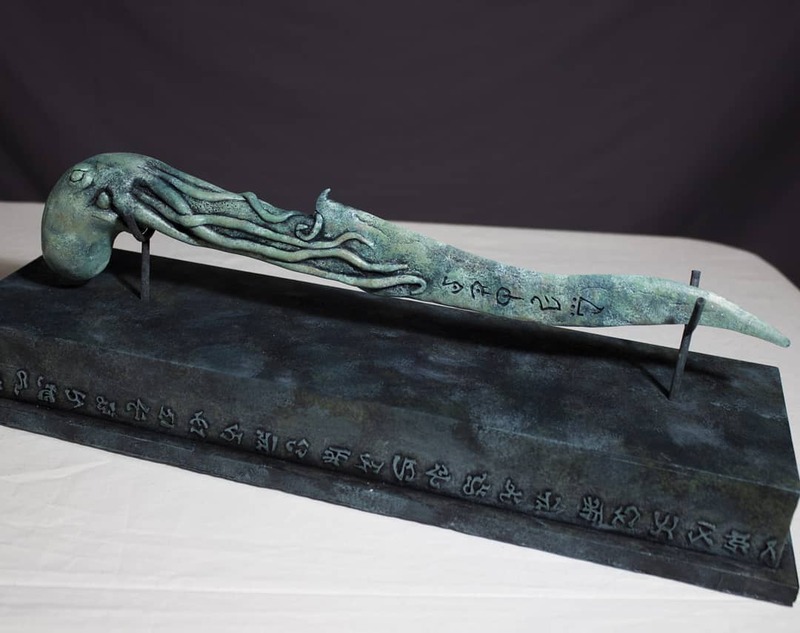 This nicely done Cthulhu dagger comes to us from propmaker Johan Waxin.